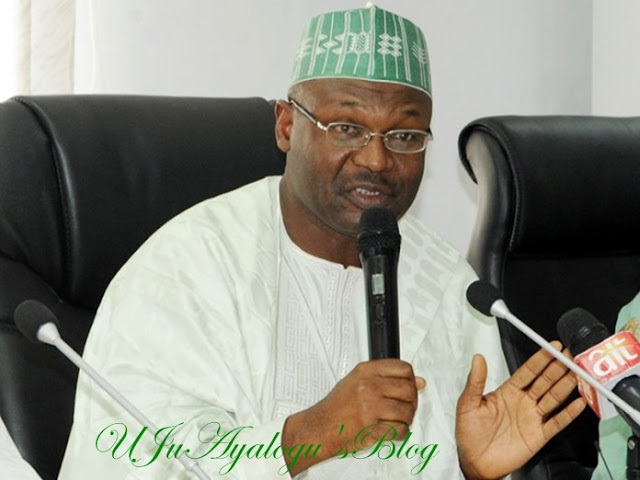 Justice Stephen Pam of the Federal High Court sitting in Abuja, on Wednesday, ordered the Inspector General of Police to arrest and bring the Chairman of Independent National Electoral Commission, Mahmood Yakubu, to court for refusing to obey a valid order court. Justice Pam on August 1st, 2018, gave the warrant of arrest of Prof. Mahmood following his absence in court to show cause why he should not be sent to prison for contempt of court. Following the service of Form 49 on Prof Mahmood, the court summoned him to show cause why he should not be committed to prison for having disobeyed the order of the court made on December 5, 2014, restraining him from accepting or receiving or according recognition to any list of nominated candidates for elective posts for the Senate, House of Representatives and House of Assembly of Anambra state in the 2015 general elections except those that emanated from the plaintiffs, which order was affirmed by the Supreme Court on January 29, 2016. Meanwhile, the court reaffirmed the order due to the absent of Mahmood in court despite the warrant of arrest issued against him on August 1st. The judge recollected that the matter was adjourned to August 8, for continuation of the contempt proceeding against INEC, and it’s Chairman, Prof Mahmood. Counsel to the plaintiff, Goddy Uche SAN had earlier told the court that the INEC Chairman had blatantly refused to obey an order of court summoning him to appear in court. In view of the foregoing, Justice Pam demanded to know from Adegboyega Awomolo SAN, counsel to the INEC Chairman , why Prof Mahmood was not in court. Replying, Awomolo said; “My lord, I don’t know where he is; if Goddy knows, he should go and bring him”. Responding, Awomolo said, “My lord, it is beyond my brief to produce the INEC Chairman in court. The court has issued a bench warrant against Prof Mahmood, so, let the IGP produce him in court”. However, in his ruling, Justice Pam said the matter was adjourned for continuation of the contempt proceeding and for the INEC Chairman to show cause why he should not be committed to prison for contempt. The court noted that counsel to the INEC boss said he did not know the whereabouts of Prof Mahmood. Consequently, Justice Pam ordered the police to bring Prof Mahmood to court on August 14. It would be recalled that the Supreme Court had in January 2016 declared the list of candidates submitted by the Ken Emekayi led faction of the Anambra PDP, illegal. That pronouncement emanated from a suit filed by Oguebego on behalf of themselves and others including Mr Chris Uba, who is the Anambra South Senatori­al Zone candidate for the apex court to determine who were the legal and validly nominated can­didates of the party to stand for the last general elections for the party in the state. Going by the ruling, the list of nominated party candidates in the 2015 general election from the Oguebego-led executive of the Anambra PDP was the only one to be recognised by the INEC. In the list are Chris Uba, John Emeka and Annie Okonkwo said to be the duly nominated senatorial candidates for Anambra South, Central and North in the March 28, 2015 general election.